The holidays are a truly magical time of year full of joy, spending times with friends and family, and eating lots of delicious foods, but for many, the holidays can mean added stress. 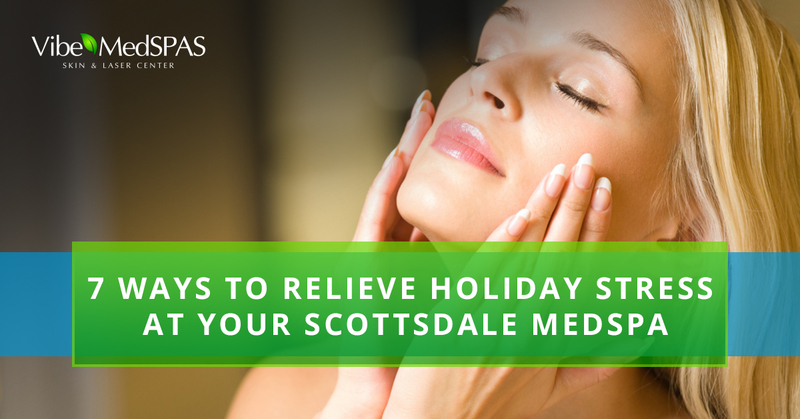 Whether it’s spending time shopping with a million other people at the Scottsdale Fashion Square, working in retail and having to deal with unhappy customers, or trying to plan a huge holiday get together with both sides of the family, the holidays can raise a person’s stress and anxiety levels, which can affect their health, wellness, and beauty. Here are a few ways to relieve stress during the holidays, which can help you look and feel your best, so you can make the most out of the holidays by finding some time for yourself to relax, decompress, and take a breather. Between balancing work, family, planning holiday festivities, holiday shopping, and of course, attending all the various social events of the season, our bodies can feel overworked and fatigued. Our bodies need vitamins to restore our energy and wellness levels, and while we get these in the foods we eat, and from vitamin supplements, an intravenous therapy session can replenish your body’s nutrients in about 30 minutes. An IV therapy session boosts your energy, improves sleep patterns, and enhances your mood. An IV vitamin boost can also improve your wellness after a fun night at the office holiday party. There are many different kinds of facials that will improve the texture and appearance of your skin. 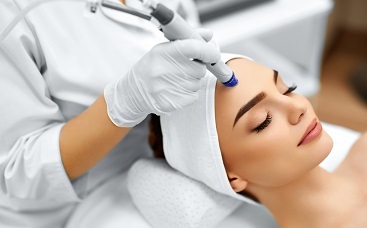 While regular facials are amazing, facial and body peels allow you to relax for 30 to 60 minutes while the peel works to remove the surface layer of your skin. Skin peels reduce the appearance of fine lines, wrinkles, skin damage, and aging, which can give you youthful glow just in time for the holidays. While we don’t experience the freezing, snowy winters here in Scottsdale that our neighbors to the north experience, but we definitely get those temperature dips that sometimes require warmer clothing. If you’ve had to cover up more than normal and haven’t gotten as much sun this season, an organic airbrush tan is a perfect way to get a natural-looking glow that matches the tone of your skin for the holidays. All you need to do to prepare for a relaxing airbrush tan is to exfoliate, shave, and leave off the makeup and moisturizers; then, let us handle the rest! A teeth whitening treatment is not only relaxing, but can also give you a bright, confident smile. Sometimes it’s hard to want to smile when you’re feeling stressed during the holidays, but when you have a brilliant smile after a whitening treatment, you’ll want to share your smile with everyone! Something as simple as a smile is a great way to spread holiday cheer. What’s more, your smile will be even more radiant after a receiving a whitening treatment just in time for all the holiday photos taken by friends and family members. Okay, you may be thinking to yourself, Wait, a waxing service doesn’t sound relaxing! But we’d beg to differ. While a face and body waxing may be slightly uncomfortable during the treatment, you’ll feel at ease afterward in knowing that you don’t have to stress about wasting time shaving before, during, or after a shower, and you won’t have to spend time plucking in the mirror. Waxing treatments are meant to remove unwanted face and body hair in one fell swoop so that you spend your precious time doing other things that are much more fun. Additionally, a waxing service may help boost your confidence in your appearance during the holidays, which can also reduce holiday stress and anxiety. Book your body waxing today and get that smooth, radiant skin just in time for the holidays! Sometimes, there’s more to holiday stress in that the anxiety you may be feeling might be more than just anxiety caused by the holidays. If you feel like anxiety may affecting your daily routines, your ability to complete ordinary tasks, and your sleep patterns, schedule a time to come in and talk with our health and wellness team. We can identify what may be causing your feelings of anxiety, and then determine the best way to treat and heal the associated symptoms. Our team of health professionals will work closely with you to establish customized wellness plan that addresses and treats your specific needs, so we can help you achieve your wellness goals. We provide services which are specific to the needs of both men and women, so contact us today to learn more about these health services. One of the biggest contributors to holiday stress is worrying about weight gain. No matter which holiday you celebrate this season, food will most likely play a major role in any family, work, or social event. There’s nothing like eating all of the decadent holiday favorites like savory meats, gravies, breads, and all the trimmings, followed by sugary desserts like pecan pie, sweetbreads, and of course, all the holiday chocolates. Our nutrition specialists can help you come up with a diet plan that will allow you to indulge in all your favorite holiday goodies, but in moderation. Having a plan may help reduce your stresses and worries about overeating during the holidays. 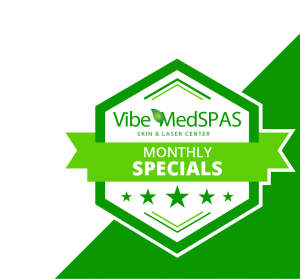 No matter the cause of your holiday stresses, our team at Vibe MedSpa is here to help reduce your stress, ease your anxiety, and help you look and feel great for the holidays. Read our recent blog post to learn more about the benefits of receiving a medspa service with us, the Top Rated Local® Scottsdale medspa. We look forward to restoring and improving your overall wellness while also enhancing your natural beauty. 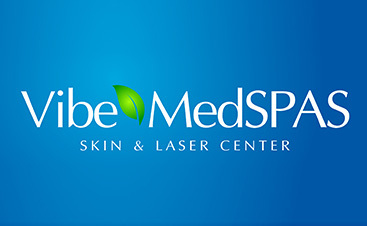 Call us today to book your medspa service, and from all of us at Vibe MedSpa, wish you a happy and healthy holiday!